I don't wear blue jeans for fashion, I'm too old to look good in them anyway. Torn and worn jeans are not a goal, they are a problem. I was unemployed and doing whatever pick-up work I could find, which was often quite physical, so my jeans get worn out fast. In one week I mowed lawns, dug out a run-off ditch by hand (wet and muddy) and chopped and chain-sawed trees. Jeans with holes in them don't protect my legs. So I pulled out our scrap bag (you have one, right? 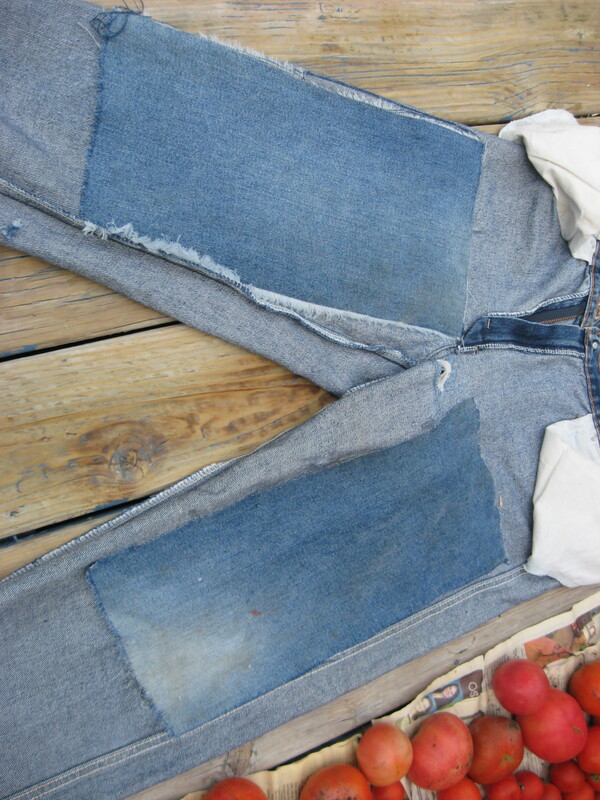 You have to if you are reading in the 'Frugal Living' forum) and found the legs of an even older pair of jeans. I'll use those to fix my somewhat newer pair. Now, I don't like sewing, and I am not much good at it. Besides, I'm an old country boy, so I gotta do things different. I considered duct tape...Okay, I really didn't, that is such a lame stereotype, that guys use duct tape to fix everything. Really we don't. Sometimes we use glue. Super glue. I did briefly consider super glue. I have used it in the past to hold buttons on and to repair loose seams. But I needed something tougher and more flexible than super glue, which is hard and brittle when dry. 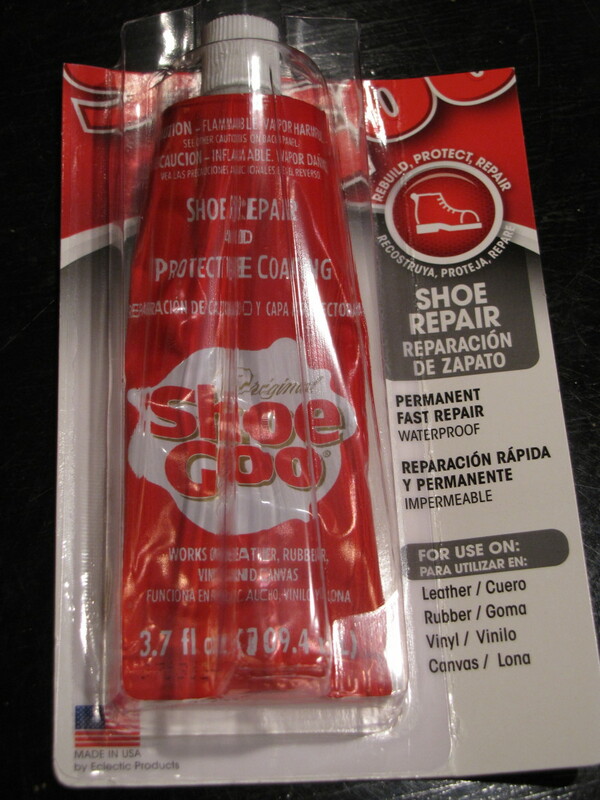 So I used Shoe Goo, the tough rubber cement made for repairing shoe soles. I have noticed in the past that you really don't want to get any Shoe Goo on your clothing; it sticks immediately and there is no way to get it off. Shoe Goo is forever. So if you are going to use it, make sure either you are very careful, or just wear old clothes in case you make a mess. I figured it was strong enough for permanent clothing repair. Cut a piece of old jeans cloth at least a couple of inches larger than the area you need to patch on your torn jeans. Turn your jeans inside-out and spread them flat on your work surface. Squeeze lines of Shoe Goo around the edges of the hole or rip. Don't over-do it, you just need a thin layer. Use a tool, anything small and flat, like a stiff bit of cardboard or plastic, to spread the blobs of Goo evenly around the hole or rip. Don't worry if it isn't perfectly even or there are a few gaps in the coverage of the Goo. Put a second very light layer around the piece of jean cloth patch. Spread it evenly, but not quite to the edges. Make sure your jeans are lying flat and smooth. Press the patch onto the jeans and smooth it out, gradually pressing more and more firmly, working out towards the edges. This helps the Shoe Goo to soak into the cloth for a good grip, and spreads the excess Goo evenly on the patch. Lay something flat and heavy over the patch to press it down overnight. I use an old army surplus ammunition box filled with, well, ammo. It is pretty heavy. A stack of old books would work just as well. Leave it sit overnight for the Shoe Goo to cure. Then hang the jeans up outside, because they will still stink for a few days. For that matter, the garage or basement is probably the best place to do this whole job, so your house doesn't smell from the Goo. After that, just wear them. You have a very tough and permanent patch that won't wear through even if you wear those jeans to rags. The Goo is impervious to water too, so washing the pants is no problem. 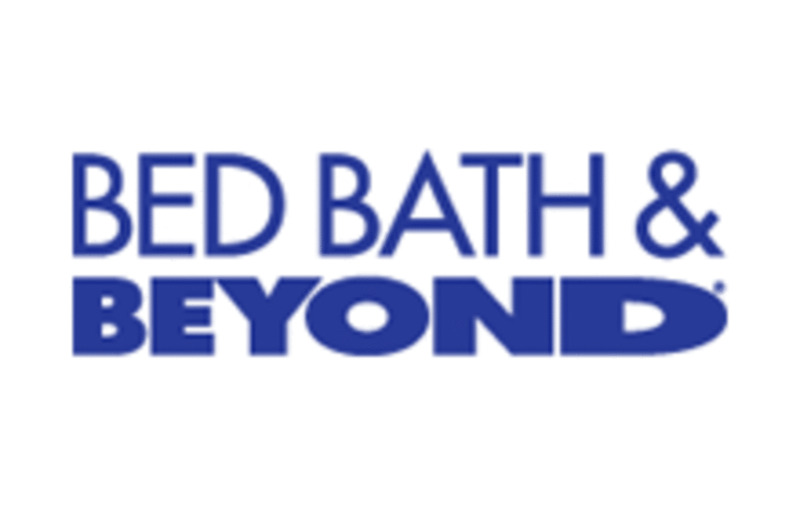 The Goo won't wash out or cause any problems if washed together with other clothing. I also used the Goo to repair an old leather belt that was coming apart at the seams. I put a tiny amount between the leather layers, spread it around and wiped off the excess that got squeezed out, then placed the repair under the ammo box. That belt is good for another year. This repair should cost you well under a dollar. Shoe Goo costs about $4 at Walmart or ordered through Amazon.com, and maybe a couple dollars more at other stores. One tube can repair many pairs of jeans. I'd love to hear of your crazy and clever ways to save money. Remember, you are saving resources as well as money. Think Green. Shoe Goo Jeans Repair Patch Comments? I know just what you mean with the ember burning a hole. I never thought to back the hole with tape; that's a good idea. Thanks. I just repaired a pair of Columbia nylon stretch pants that I hike in and wear to work. I've had them for going on two years, and they have held up like a tank. But, an ember shot out of my wood stove this winter and put a little hole in them. I put a piece of tape on the front side, shoe goo'ed the inside, and they are good to go. I've heard some rock climbers say they use it and the repair will most likely outlive the pants. I also just repaired a ripped down sleeping bag using shoe goo and a strip of ripstop nylon. Shoe Goo rocks! Okay, that is funny. Good thing you had the tape handy. Be interesting to hear how it works out. I have found that glue works better if you put a few stiches in at the points where the pull is strongest, at least at the ends. Let me know. Just used Shoo Goo to put a new zipper in a jacket I love. The old zip was junk so I cut it out and gooed in a new heavy duty one. It's curing now. Hope it holds. No, have never had the goo seep through the patch, or through the outside of the jeans. I imagine it could if the material were worn thin enough though. This method works better than the store-bought tape or patches as it never seems to peel loose. Good article. Doesn't the Goo stain through to the outside of the jeans though? I use Wundaweb (the iron on repair tape) to repair clothes, but this can sometimes fall to pieces after a few washes. Nice fix! I love cheap ways to repair things! I look forward to trying this out.A very cunning idea. Go to work on an ox. You sure can, and it works great. I wrote a hub a while back on a much improved way to repair shoes with shoe goo. Saves on the expensive goo, and lasts a lot longer. That got me to thinking and I came up with this idea. Wow I didn't know you could repair jeans with shoe goo.